Course learning handling complex real life problems such as terrorism, refugees’ problems, pollution issues and traffic jams. Making policy on complex real life problems. After attending the course the participants are able to recognize a complex real life situation and know how to make sustainable policy on this, how to handle a complex societal problem. For policy makers local and on governmental level managers and students. Dorien DeTombe (2015) Handling Societal Complexity. A Study of the Theory and the Methodology Societal Complexity and the COMPRAM Methodology , Berlin/Heidelberg: Springer Verlag. ISBN/EAN 978-3-662-43916-6; 550 pag. € 137,79. Complex societal problems are difficult to handle because of their complexity. They need a multidisciplinary and interdisciplinary approach. A combination of qualitative and quantitative methods is needed to analyze these complex societal problems and make sustainable decisions. What are complex societal problems. What have the different complex societal problems all in common. What is the reason these problems need a multidisciplinary and interdisciplinary approach. Why should these kinds of problems be handled in co-operation, such as which groups of experts and actors. What are the basic approaches for complex societal problems. What is the role of knowledge, power and emotion in handling complex societal problems. What combination of qualitative and quantitative methods are needed to handle these problems. 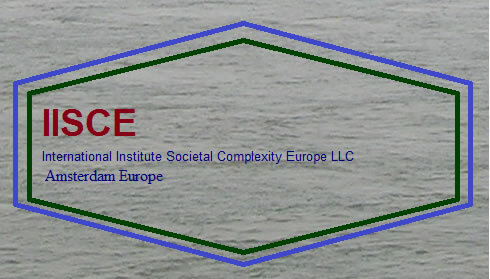 What is the role of system thinking, system-dynamics, and chaos theory in the theory of complex societal problems. Compram methodology can be applied for all kind of policy problems like climate change, transport, sustainable development, healthcare, economy, and global safety. The Compram methodology is a scientific methodology for handling complex societal problems in a transparent and structured way. Handling means analyzing, policymaking, decision making, guiding and evaluating interventions. The Compram methodology is developed by DeTombe (1994-2009). Most problem handling methods focus on a part of the problem handling process; the Compram methodology, however, focuses on the whole spectrum of the problem handling process. To handle complex societal problems with methods of research computer simulation is indispensable. First of all because computer simulation can facilitate the understanding of causal relations between determining factors of a complex societal problems. Secondly because with computer simulation one can comprehend the time development of this causal network. But most of all, because complexity is a concept that only can be understand when it is put into the framework of mathematical complexity theory. That is a theory based on the mathematics of non linear differential equations, which is developed with the aid of computer simulation.